Although the MAX is grounded, the company’s Renton plant continues to build more than 50 a month. Passengers give rave reviews as they board inaugural flights at Paine Field. People were eager to be aboard the first flights out of the new passenger terminal in Everett. Assorted quotes from folks at the commercial terminal’s first day. This time-lapse shows construction of the new airport terminal at Paine Field in Everett. 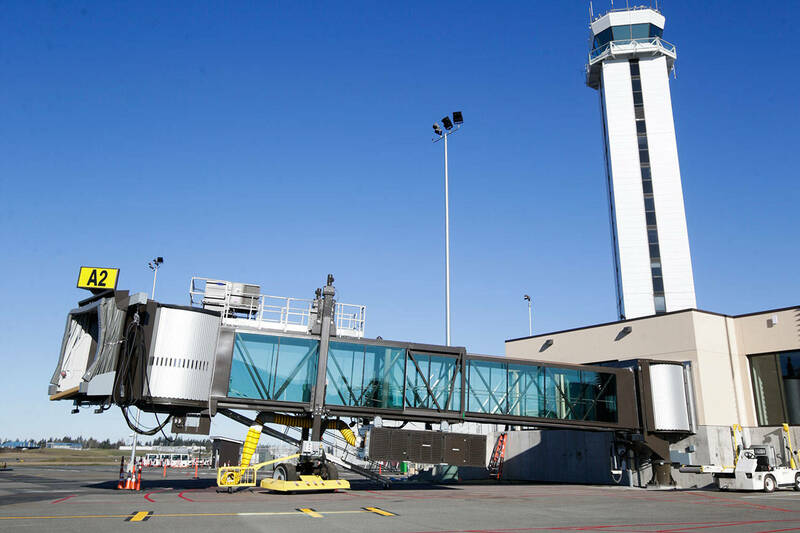 After years of planning and litigation, airlines can begin service at Everett’s new terminal. The legal fight between a corporate hangar and the Historic Flight Foundation led to soaring costs. “For 10 years I’ve been promising myself I would be on that first flight,” says a reservation holder. They are the first of a planned fleet of 179 Everett-built KC-46 Pegasus airplanes. As Boeing hands off the first Pegasus tankers to the Air Force, it’s easy to overlook their versatility. The company celebrated Thursday as it handed off two KC-46 Pegasus airplanes to the Air Force. Key FAA officials, who must give a final OK to Paine Field passenger flights, are on furlough. Remaining flaws in the Everett-built KC-46A Pegasus relate to the aerial-refueling boom. Schedules can change, but here are the planned airline departure and arrival times for Everett. The FAA says furloughs at the agency might postpone the final decision on Everett airline service.